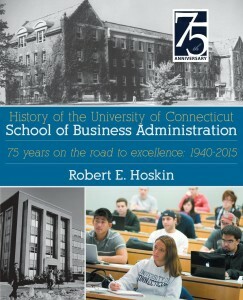 The School of Business Administration was created in 1940 at about the same time that the institution changed its name to the University of Connecticut. 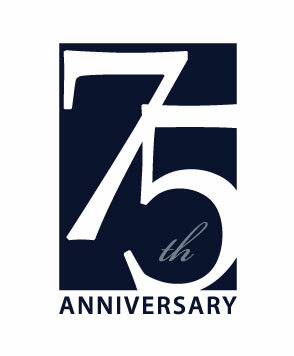 The book chronicles the School’s journey to excellence over its first 75 years of existence. The School offers degree programs at four locations across state–Storrs, Greater Hartford, Stamford and Waterbury. The School has grown from a faculty of 5 in 1940 to 112 in 2015. Starting with just an undergraduate program in 1940 the offerings of the school now include Connecticut’s largest MBA program, four specialized MS programs, a Ph.D. program, as well as many certificate and executive education programs. Recognition of the quality of the School’s programs is represented by its prestigious AACSB International accreditation and various rankings. Most recently, U.S. News & World Report ranked UConn’s MBA program in the Top 50 nationally among all programs and in the Top 25 among public institutions alone. The MS in Accounting program was also ranked 3rd in the country for best online graduate business program. Rob Hoskin, Ph.D., is associate professor emeritus of accounting at the School of Business, and is a former associate dean and director of executive education programs. Hoskin has taught financial accounting for thirty-five years, at both the University of Connecticut and at Duke University’s Fuqua School of Business. He has been recognized as teacher of the year many times, most recently in the School’s Executive MBA program. He has also taught numerous executive development programs in understanding the financial statements in a variety of industries with a specialization in insurance. He earned his Ph.D. from the Johnson School of Business at Cornell University and also holds a BS in Chemistry from The Ohio State University, as well as an MS in Chemistry from Bowling Green State University. He lives in Tolland, CT, with his wife Mary and has four children and six grandchildren. To purchase the book, please visit the publisher’s bookstore or Amazon, which also has a version for the Kindle. The print version is $24.95, and the Kindle version is $9.99.